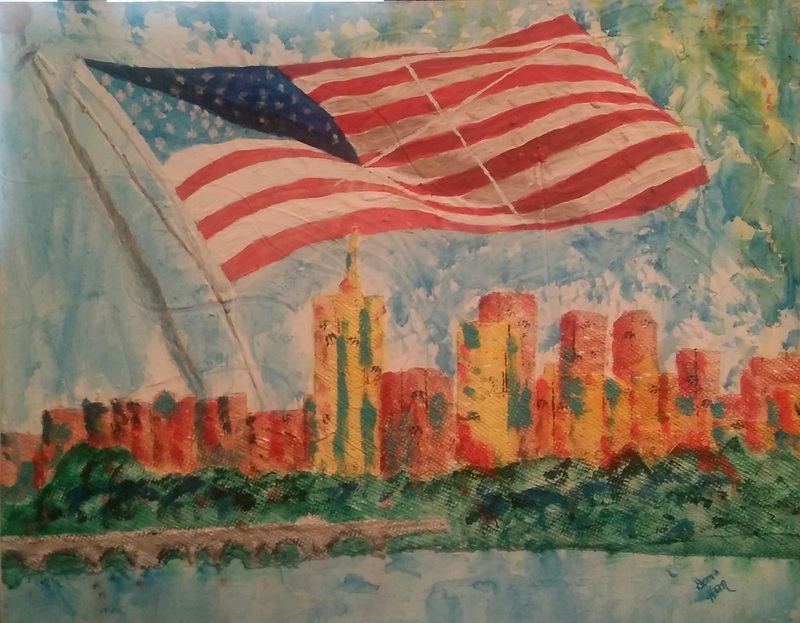 This is the third painting in a series of patriotic paintings prepared for Independence Day 2016. The proceeds for the sale of these paintings will benefit veterans' charities. The story behind why I painted this painting and donated the proceeds to veterans' charities, click here.